The Republic of Turkey was founded in 1923. However, one region, the most Southern province of Hatay only joined in 1939, bringing with it a diverse population, an unusually successful multi-culturalism (Arab-Sunni, Arab-Alevi, Arab-Orthodox, Turkmen and Turks) and a very rich rich history. 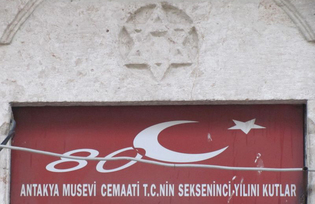 Avery special chapter of Turkish-Armenian relations was written on the Moses Mountain in what is now the province of Hatay in the Republic of Turkey bordering Syria. When in 1915 the six Armenian villages located on the mountain received the order from the young Turkish government to leave their houses for the Syrian desert, which would have been for most of them the equivalent to a death sentence, the villages decided to resist. About 5,000 villagers fought the Ottoman troops on top of the hill. Not for 40 days as in the novel by Franz Werfel, but for 52 days until two French ships rescued them and brought them to Port Said in Egypt. There they stayed until the end of World War I. In 1919 they returned, but not to the Ottoman Empire, the region had become a French Protectorate. This situation continued until 1938 when the protectorate became an independent state, which held a contested referendum the outcome of which was that the independent state joined the Republic of Turkey. Syria until recently did not accept this decision and showed the province on maps as a part of Syria. 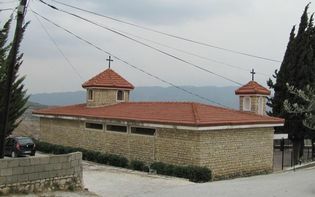 Five of the six Armenian villages then decided, after their experiences with the (Young)Turks, to relocate to Syria and Lebanon, only one village stayed, Vakifli. At that time the 650 Armenian inhabitants made it the biggest village in the area. However, “today there are in the winter 135 people and only in the summer up to 700”, says the village headman Berc Kartun. So untypical an Armenian village in Anatolia and, so typical is the exodus from the rural areas to the big cities in Western Turkey or abroad that all together more than 2,000 people from Vakifli live in other cities in Turkey or are spread between Germany and California. There are two strategies to improve the economic situation of the village according to the president of the local Armenian foundation, Cem Capar: “First we built some green houses and we try to diversify our product range and second, we try to keep the tourists for longer in the village.“ So far there is only one little hostel, which is open during the summer, a second one is being built next to the village church which was rebuilt in 1997. And there are in general significantly more tourists in the region than years ago and there are principally two reasons for that. First there is a brand new airport north of Antakya, the provincial capital and second the visa requirement with the Southern neighbour Syria was lifted, so that there are both more Arab, domestic and foreign tourists coming to the region. And this diversity is also still visible in the provincial capital Antakya, about a 45 minute drive from Vakifli on a road for which “bad” is a euphemism. The ancient Antiochia at the river Orontes not only offers historical sites that prove the diversity of past centuries like the oldest church of Christianity, St. Peter in the outskirts of the city, but still today hosts a sizeable Arab-Orthodox and a small Jewish community. And the Muslim majority is everything but homogenous either, there are Turks, Arabs, Turkmens and Kurds. 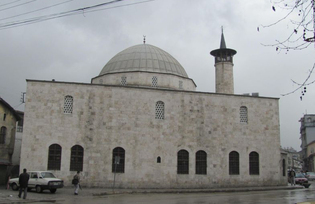 The Arab Orthodox community has a peculiar standing among Turkey’s minorities. Since they were not part of Turkey when the population exchange with Greece was decided in 1923-1924, which affected all Orthodox Christians, not only Greek speaking ones, they are now the only Orthodox community outside of Istanbul. But, since the state didn’t know in what category to put them, it decided in 1939 to make them “Greek”. This arbitrary decision allows them to go to the Greek schools in Istanbul and become members of Greek foundations, which saves many Greek schools and foundations from being closed down in Istanbul. 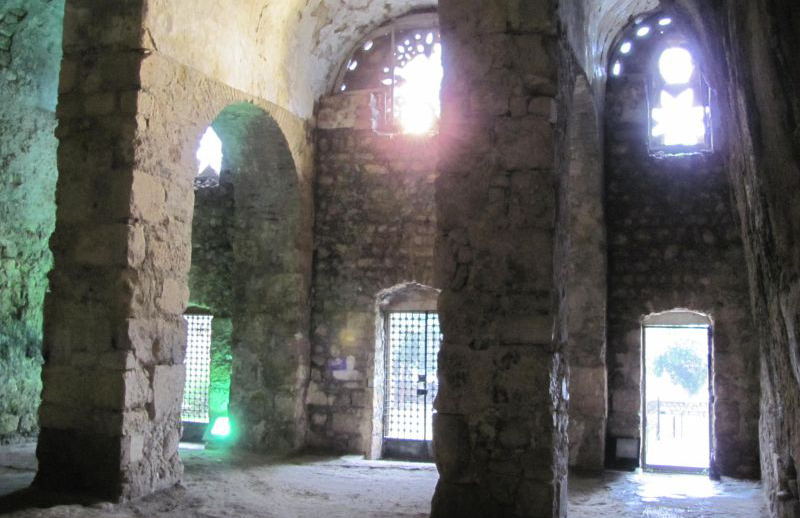 However, the two communities have very little in common, the language of the sermons in Antakya is in Arabic and their patriarch resides in Damascus. However, most of the tourists who visit Antakya don’t come to visit the Arab Orthodox community or the small Jewish community. Most come to see the Antakya museum, which is also called the mosaic museum hosting the second largest collection of Roman mosaics world-wide. This draws more and more organized tours to the city, both domestic and foreign. 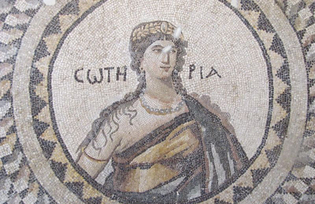 However, the biggest attraction are not the mosaics inside, but the mosaic outside, the Anatolian population mosaic as it is nowadays nowhere else found in Anatolia. And when in Vakifli doubts were raised concerning the harmonious living together of the diverse religious and ethnic groups, the church was visited by MP Izettin Yilmaz, who represents Antakya in Ankara for the extreme-right MHP (Nationalist Action Party). And while eating sweets and having a tea in the church yard, Yilmaz stresses the importance of Vakifli for the region and praises the harmonious co-existence of diverse ethnic and religious groups. This is almost bizarre, but in the region around Vakifli even the extreme right seems to be convinced of the advantages of a multicultural society. Now only the rest of Turkey needs to be convinced.